The intentional investment of time in spiritual prayer as a core practice is the missing power of the Church. 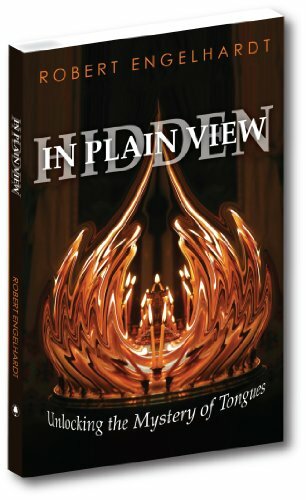 "Hidden in Plain View" provides sound biblical foundation and powerful personal illustrations to provoke you to 'up your game' and unleash the power of God available to live a victorious life. Noted for his biblical insight and ability to make complex truth understandable, Robert Engelhardt has had a prolific career for more than twenty-five years as a writer, speaker, radio personality and church-building pastor. He is founder of FaithConnect, an association of Christian leaders, and senior pastor of Catskill Mountain Christian Center, a church and human service organization in Margaretville, NY. Engelhardt has produced radio for two decades and can be heard in his area and on the internet. As a speaker, besides his own church, he presents at conferences, many churches, and has been a guest on TBN and The 700 Club. He has written for Ministries Today magazine and revised and edited two Pure Gold Classic books for national publication. His first original book, 'White Like Snow' is a popular compilation of spiritual lessons and insights, and his second book, 'Hidden in Plain View' unlocks the purpose of the biblical gift of tongues. Mission work has taken him to many nations of the world with a twenty-year ongoing concentration in Kenya. As a leader to leaders Engelhardt heads FaithConnect network an organization for leaders who share the vision of being culturally relevant, biblically sound, and genuinely connected. Married since 1977, Bob and his wife, Nancy, have four sons, a daughter and five grandchildren. He is a member of the International Coalition of Apostles and Open Bible Faith Fellowship of Canada. He is a board member of CitiHope International and Alight Care Center. Charismatic churches have too often replaced the power of the Holy Spirit's gifts with technology and the arts- mistaking talent for anointing. The gift of tongues enables us to communicate with the realm of heaven and bring that powerfully to play in the earth. Tongues allow you to pray effectively when stress, pressure, or frustration makes your words inadequate. I have also found when I am overwhelmed by the power and presence of God, that praying or singing in tongues allows me to worship beyond what my words can possibly express.